The Garlando G-500 pure white football table is designed for use in homes, offices, schools and youth clubs. 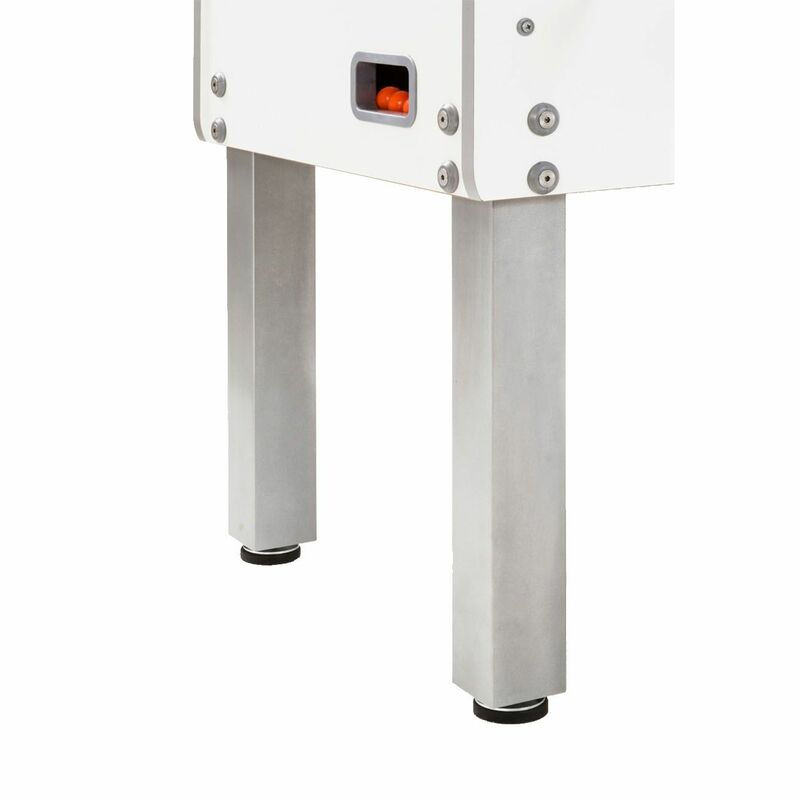 It features heavy duty 25mm (1") MDF with melamine coating and 90mm x 90mm (3.5" x 3.5") square metal legs coated with an anti-scratch silver powder varnish. 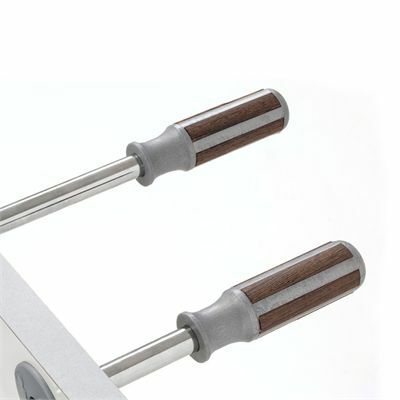 The roller bearings are made from steel to improve game speed and reduce stress on players’ wrists, while the professional plastic handles with wooden inserts reduce perspiration and improve grip. 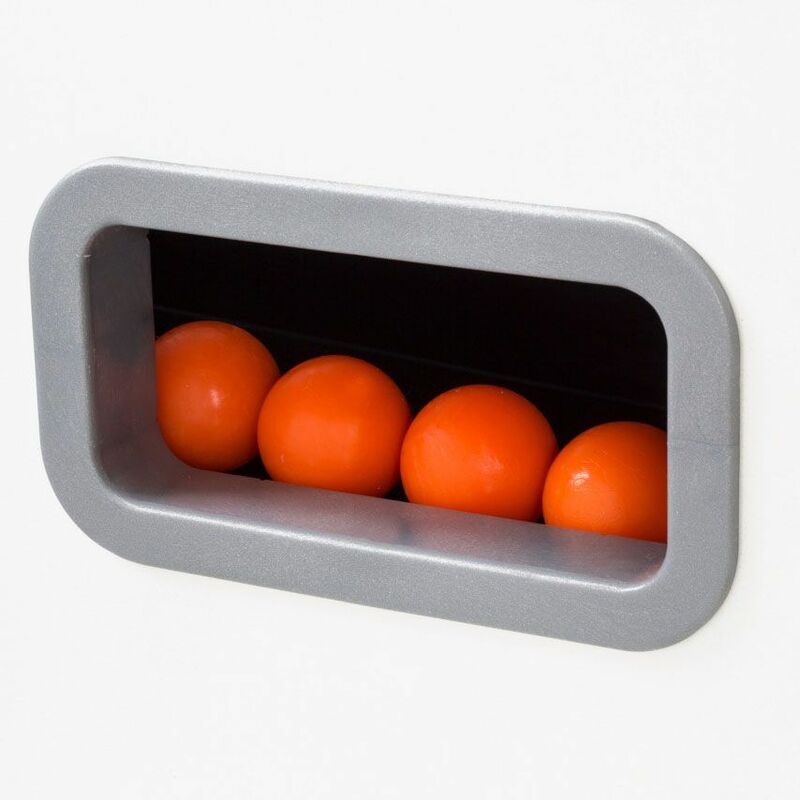 The table has white/grey players in unbreakable plastic moulded onto the bars and comes with 10 standard orange balls. for submitting product information about Garlando G-500 Pure White Football Table We aim to answer all questions within 2-3 days. 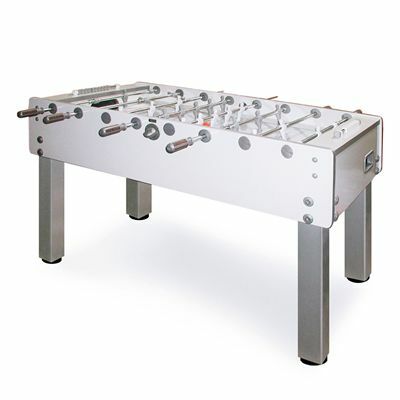 for submitting product information about Garlando G-500 Pure White Football Table. We aim to answer all questions within 2-3 days. If you provided your name and email address, we will email you as soon as the answer is published. 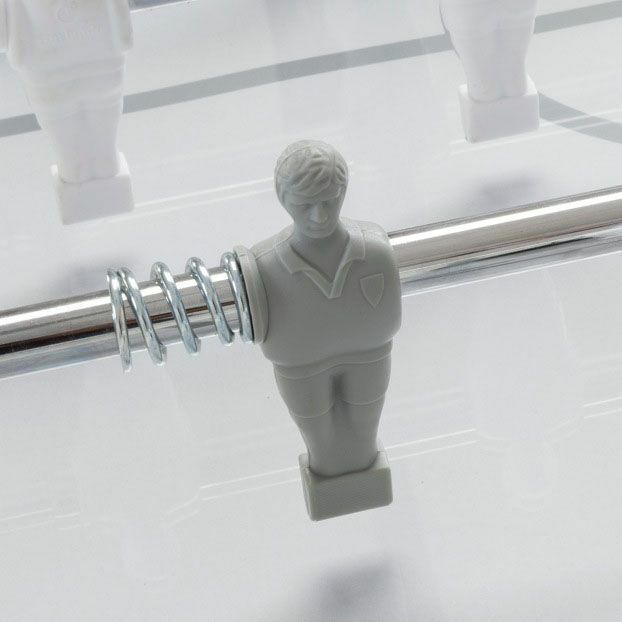 for submitting product review about Garlando G-500 Pure White Football Table.